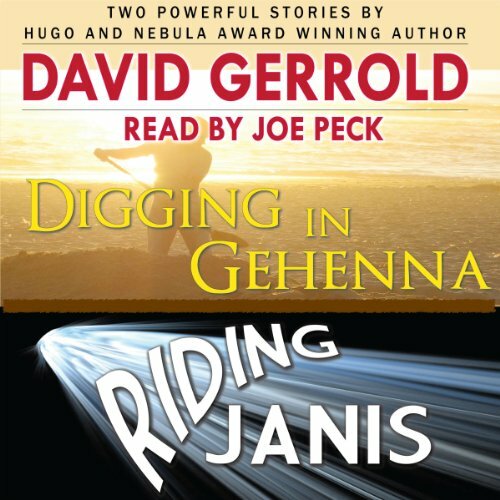 A Digital Fabulists double paperback by renowned science fiction author David Gerrold! Two electrifying stories in one book. From Digging in Gehenna: Daddy was arguing with Dr. Blom again, so Mom told me to stay away from the dig for awhile, at least until tempers cooled off. That was the only thing likely to cool off anytime soon. Spring was rising, and so were the daytime temperatures. We would be heading back south to the more comfortable polar zones as soon as the last trucks were loaded and the skywhale arrived tomorrow morning. Twenty-four months would pass before the sand would be cool enough to stand on again, but nobody knew if we would be coming back.